Is your site lost in cyber space? The prime information you need to have is your website’s ranking status. With our SEO Ranking Report, you can see where your website is stands across Bing, Google and Yahoo for the keywords related to your website. You can also choose the keywords for which you wish to check your Rankings. Where is your SEO strategy headed? Know the outcomes of your SEO efforts and weather they are moving in the right direction or not. You can finalize your future SEO strategy once you have this initial status about where your web site is ranking currently. Why will you like our SEO Keyword Ranking Reports? Our SEO keyword ranking reports will clearly differentiate between the parts of your search engine optimization campaign that are effective and which are not. SEO is not a one-time vaccination. It is a constant effort. Regular top-ups are needed to keep your site working effectively. Our SEO reports will ensure you are taking the right path. These SEO Ranking Reports are the foundation of future activity as well as serve as the measurement of past performance. Read your SEO Reports. Often, website owners do not bother with this. You may not have the time or inclination to become a SEO expert, but the basic understanding of search engine optimization will assist you in making more informed decisions. What Makes Our SEO Keyword Ranking Reports Special? 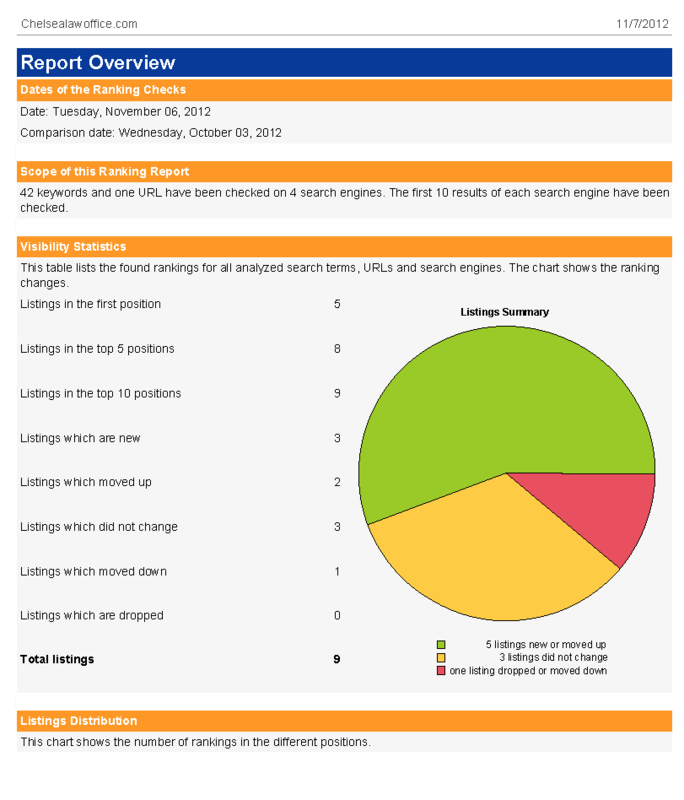 All the major search engine activity is measured in the SEO ranking reports. The upward movements are celebrated; downwards movements are accelerated for attention.